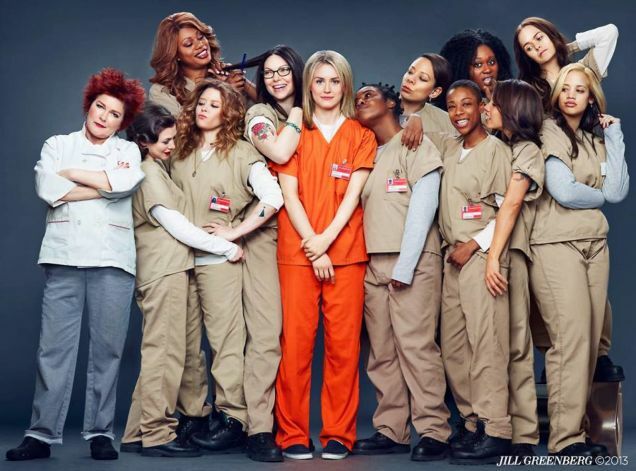 The series starts with Piper Chapman (Taylor Schilling) about to go to prison. She is enjoying her last days of freedom with fiancé Larry (Jason Biggs) before taking herself in, having been convicted of a drug trafficking offense from years previous. As if that is not bad enough, her ex-girlfriend, the woman who she believes dobbed her in, Alex (Laura Prepon), is in the same prison. Piper needs to learn the prison politics and is helped and hindered by the cast of odd, aggressive, generous and violent prisoners. The show is so well structured, with each episode telling the past of various characters as well as following Piper and the others on their journey within the system – in a similar manner to the wonderful Oz. There are so many fabulous characters, some delightful and charming, some utterly horrible. It really is great to see so many fantastic female characters in one show – if anything, I would say that it is the male characters (most notably some of the guards) who are less well represented. So far, there have been two seasons, with the next coming in 2015.